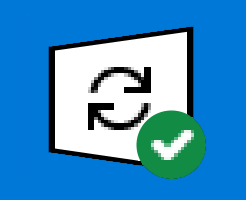 Updates are important to help protect your computer from threats like ransomware. But automatic updates that you can not control are very annoying and not a good thing for users. Not everyone has an unlimited data plan. For example, I have a bandwidth cap and a 4GB Windows 10 anniversary update leaves me with no data for the rest of the month. Working in the Information Technology field I have also seen plenty of times that Microsoft has released a bad update that has messed up computers that installed it before Microsoft could pull the update back. Well you can’t turn off the automatic updates natively. At least not all the way. But there is some hope. You can set your connection to metered and save your bandwidth. This will make the computer only download the most urgent updates. Earlier versions of Windows 10 would only let you do this on a wireless connection. 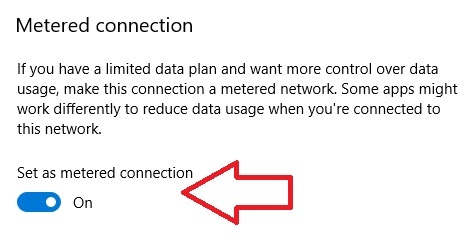 But at some point, Microsoft started to let you set a wired connection as metered. This is wonderful news and it will hopefully save people a lot of money on data bills. 1. The first thing you need to do is click the Windows 10 start menu then click the gear icon on the bottom right to open the settings window. You can also just hit the windows key and type settings then hit enter. 2. 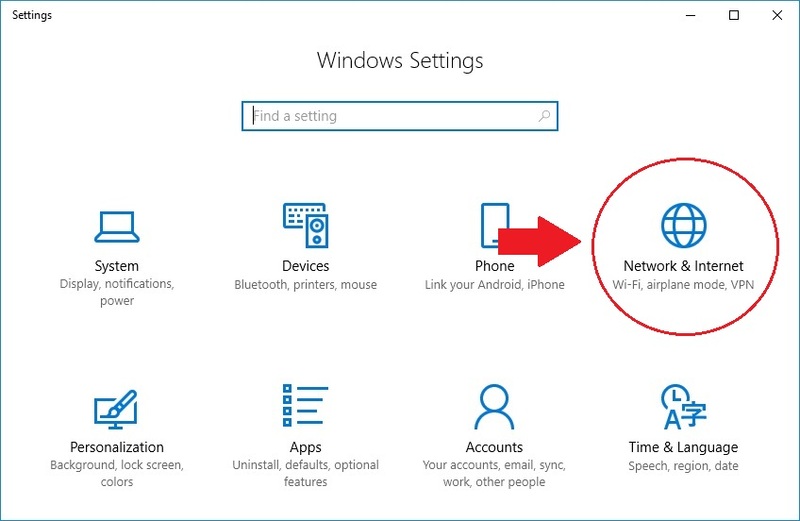 In the settings window find the icon called “Network & Internet” and click that. 3. 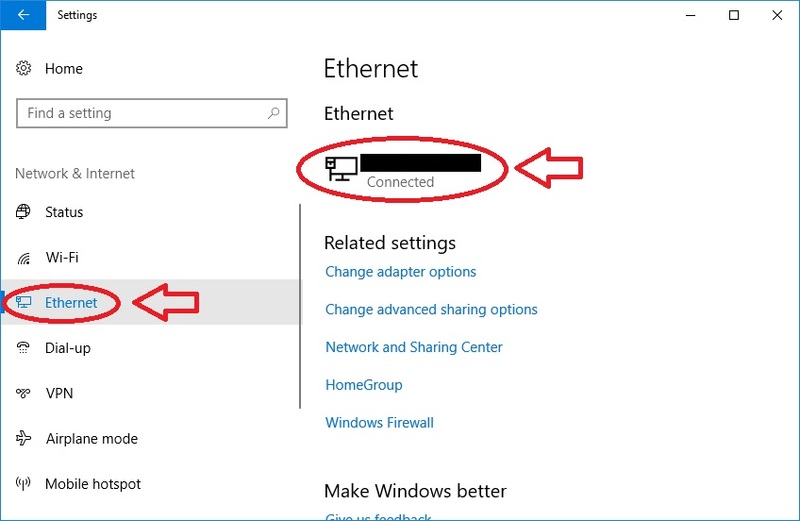 Now click “Ethernet” on the left then click the connection Icon. Or if you are doing this for Wifi you would click the “Wi-Fi” link on the left. 4. Now we just flip the switch to set the connection as metered. What does setting a connection to metered do? Some windows apps may stop updating automaticly. Like getting weather updates for example. Windows will only download priority updates. Downloading and updating apps from the windows store might be paused. Start screen tiles might stop updating. Like the weather example. Offline files may not sync. But I normally disable offline files anyway because I do not think it works very well. There is also a 3rd party program that helps block updates called StopUpdates10. It works by setting up policy registry keys to block updates. You could do this yourself but this tool makes it a lot easier. Now that your updates and data usage is under control I would suggest that you still update for security reasons. You can do this and still save your bandwidth by using an offline windows update tool. With this tool you can download updates to a USB drive from a location with unlimited bandwidth. Then take the updates to your computer on a metered connection and install them. This entry was posted in Tutorials and tagged Windows on March 20, 2018 by Zack.